Ready to get more engagement with your social media presence? MMJ Designs offers Social Media Content Management. Do you just throw content at your social media platforms with hope to expand your audience? Are you looking for someone to talk you through how to get engagement with your social media platforms? 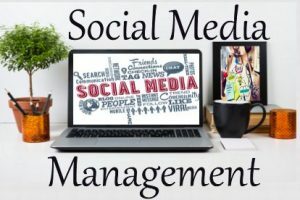 Do you want someone to manage your social media platforms? MMJ Designs does all of that. We help businesses build up an audience online with the goal of engaging your current customers and acquiring new customers. We can make content for any of the platforms you maybe on- Blog, Facebook, Instagram, Pinterest, LinkedIn, Twitter, etc. We offer options for you to choose from. Our options range from DIY to full management, content planning, graphics, blogging and scheduling – we can create a package that suits you and your business. We help you plan and strategize with you for content to engage your audience. We have a complementary video chat to see if we’re a good fit and what your needs are. We offer one time, monthly, quarterly and annual packages. After our chat we put together a pricing proposal, then once you review and it’s all agreed upon, I’ll get some information from you then we can get started. Interested in the DIY Social Media Boss contact us. We have a complementary video chat to see if we’re a good fit and what your needs are. How do you get your message to be more visible? Interested in the Social Media Boss contact us. We have a complementary video chat to see if we’re a good fit and what your needs are.